Salad for breakfast & the soft boiled egg. I wanted to make a salad with our breakfast so I just decided to make our breakfast a salad. I looked for ideas on the interwebs and found one with cinnamon toast croutons, sold. Cut up some bread and toss with some melted butter, sugar and cinnamon and bake at 350 degrees until crunchy. Make a simple vinaigrette using 1 T. apple cider vinegar, 1 T. real maple syrup and a few T. olive oil and you’re pretty much set. 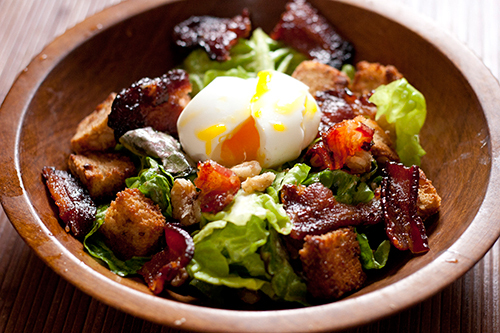 Add some crispy bacon, walnuts and whatever you like and top it off with a soft boiled egg. This was my first attempt at soft boiled eggs and they were awesome. 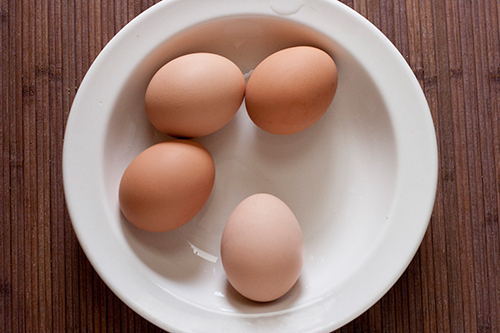 Bring water to a boil, carefully add eggs and boil for about 5 to 7 minutes. Remove and cool or eat right away. I’m addicted. This entry was posted in American, breakfast, salad and tagged boiled, breakfast, egg, salad, soft. Bookmark the permalink. Both comments and trackbacks are currently closed. This looks soooo delicious. 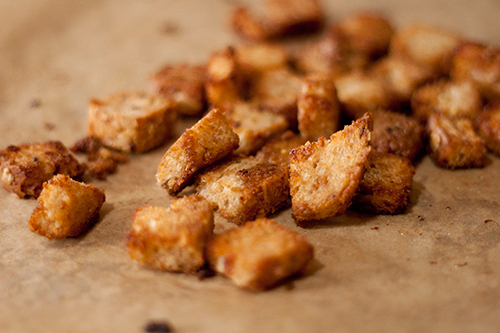 I would never think to make a salad for breakfast, but you definitely had me at cinnamon toast crouton! Thanks for sharing, I’m going to pass this receipe on to a few friends. Brittany – Yeah the cinnamon toast crouton and maple dressing had me instantly. Tanya – I used to love poached but soft boiled are so much easier and cleaner. My new fav! Thanks for passing it along! I’d eat salad for every meal if it were like this one. Those bowls are pretty, too! Christina – A salad a day at least, I love these bowls too!